I was diagnosed with hydrocephalus at age 17, about halfway through my senior year of high school. I had been completely healthy up until that point, with the exception of chronic headaches that developed in my teens. Leading up to my diagnosis, I had increased headache pain and some numbness in my face, which lead my parents to seek testing and answers. Like many patients with hydrocephalus, I have had a long history of repeated shunt revision surgeries, and I also had a 3rd ventriculostomy surgery in 1999. 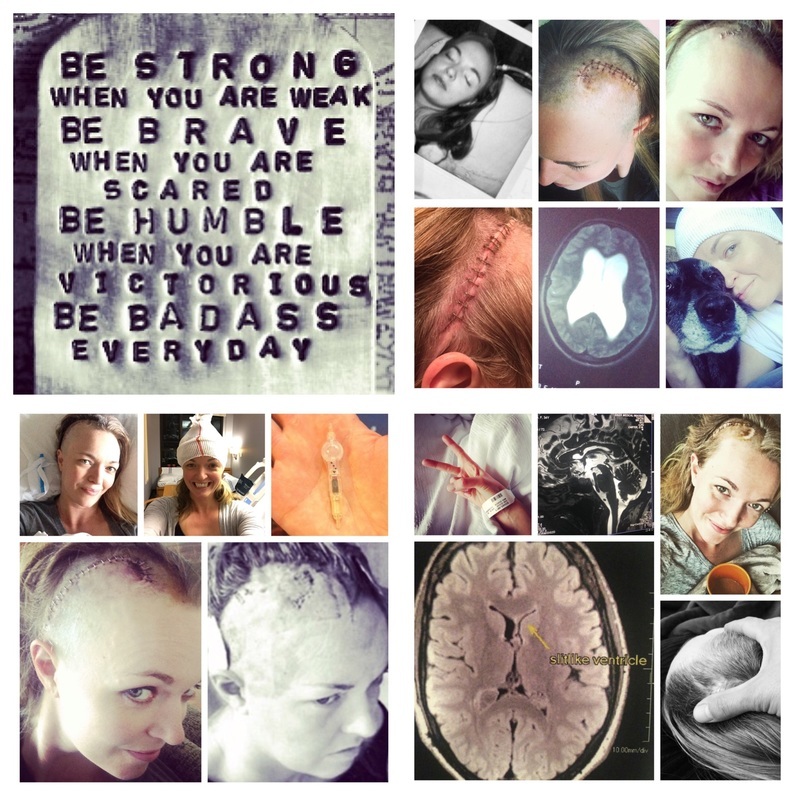 In all, I have had 23 surgeries on my brain, including two VP shunt placements, the 3rd ventriculostomy, and countless shunt revision surgeries. Unfortunately, my journey with hydrocephalus is not uncommon. Statistically, 50% of all shunts fail within two years. I have had only one shunt last longer than one year. In the United States alone, there is a shunt related surgery every 15 minutes. I was fortunately able to go without a shunt (and just the ventriculostomy) for a period of almost 11 years (from 2001 until 2012), but eventually had to be re-shunted again. Since 2013, I have averaged 3-4 trips to the operating room per year, a number that my team is always looking to reduce. It is unknown why so many patients have trouble with their bodies accepting shunts, while others are able to go decades with one working shunt system. I have chosen to be open with my life story, in hopes that it can provide comfort and information to others on a parallel path. But in addition to simply offering support to other patients and families dealing with hydrocephalus, I believe that we have to band together and push for new solutions if we want to see change. Even if I don’t see those better options in my own lifetime, I am dedicated to staying in this arena, willing to battle, for the precious little hydro warriors in the generations to come. The glaring reality is that hydrocephalus is a very confusing, misunderstood, and difficult condition to manage and treat, and is one that severely lacks the public awareness that hopefully will lead to better options for treatment. Together we will push forward, toward better days. I get lots of questions regarding specifics of medications, etc. via social media, and I am not able to share that information. All of my medications, pain management, and general care, is monitored closely ​by my primary care physician, at monthly appointments.